America’s Battalion is back in the fight. 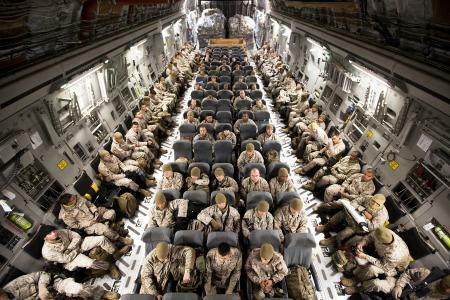 Third Battalion, 3rd Marines, out of Marine Corps Base Hawaii, has arrived in Afghanistan for a seven-month deployment, Marine officials said in this news release. They will relieve 1st Battalion, 3rd Marines in and around Helmand province’s Garmser district. The area has largely been pacified, but 3/3 will have the logistically and strategically challenging task of preparing the district for the expected withdrawal of Marine forces as the Afghan National Army and Afghan National Police take over providing security. A small number of Marines will stay afterward, but in an advisory role.